Geelong is alive and well with the smell of coffee. Not just any coffee, great coffee. 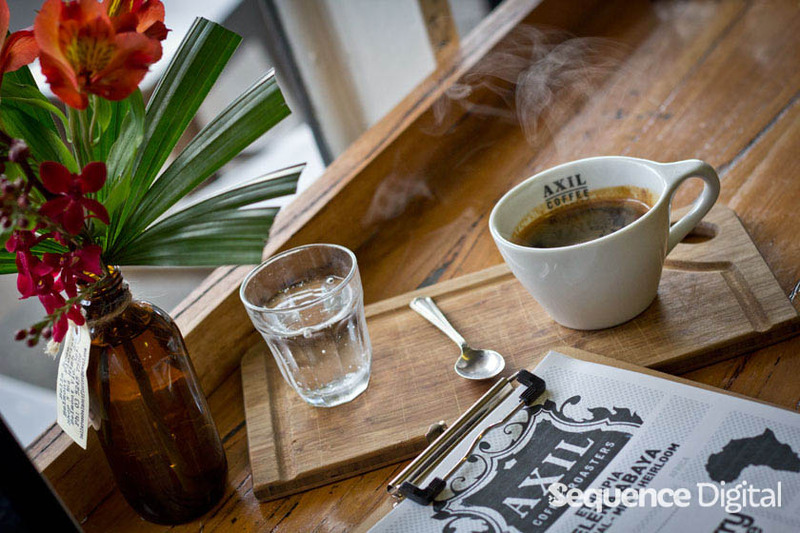 This list has the 30 best cafes Geelong that have something worth seeing. Though we’ve put thought into the positioning of each cafe on the list, this is not absolute. Every cafe on this list no matter where it appears has something worth making the trip for and will depend on individual tastes. What we do guarantee is that you will find something on this list of the best cafes Geelong that will delight! The 30 best cafes Geelong list is filled with specialty coffee, great baristas that know their stuff, friendly staff and distinctive and unique points of difference. When you want a cosy spot with great food, beautiful garden and a great vibe, Cafe Go Geelong is the place to be. Housed on the corner of Bellarine & Lt Malop Street in an original weatherboard dwelling, the cafe stays true to it’s roots with a central fireplace throwing off lifesaving warmth in winter, and a cute hidden garden out the back. Food comes in generous portions using local and organic produce where available. Cafe Go is top pick for CBD all-rounder on the best cafes Geelong list. Open Monday thru Saturday. 37 Bellerine Street, Geelong VIC 3220. Fuel has been a favourite for the 5+ years since it opened. Greg really set the tone for the Melbourne inspired cafe scene in Geelong. You don’t have to take it from us though, it’s consistently number one on Trip Advisor as well, so it’s easily on the list of best cafes Geelong. It’s hidden in Gore Place, a tiny laneway that’s now over-shadowed by the TAC building, and housed in a converted garage that’s as bright and fresh as the day it opened. You’ll get a flawless campos coffee and friendly service. Open weekdays only. 2 Gore Pl, Geelong. 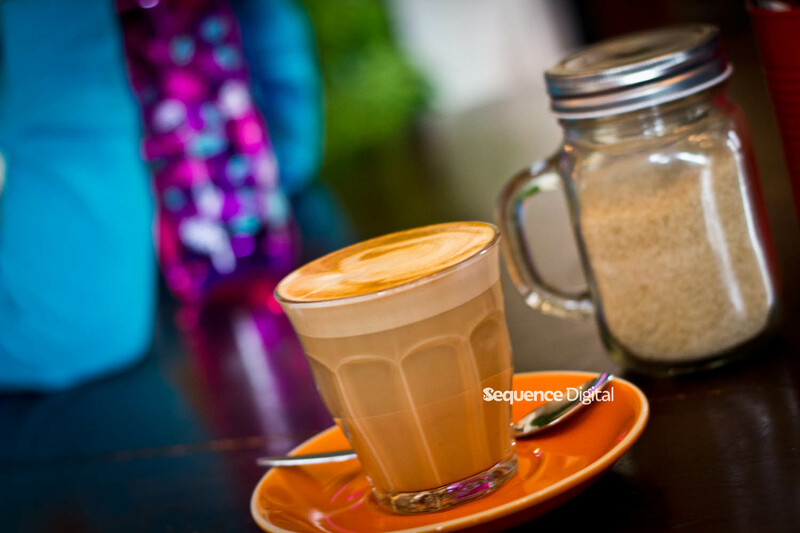 Geelong West Social Club is pretty new to the Geelong coffee scene, but the fact we’ve spotted other cafe owners on this best cafes Geelong list having a coffee here says a lot. Ross spent four years roasting the beans he now serves up so he’s on it. Before that he was well known at other top cafes in Geelong. 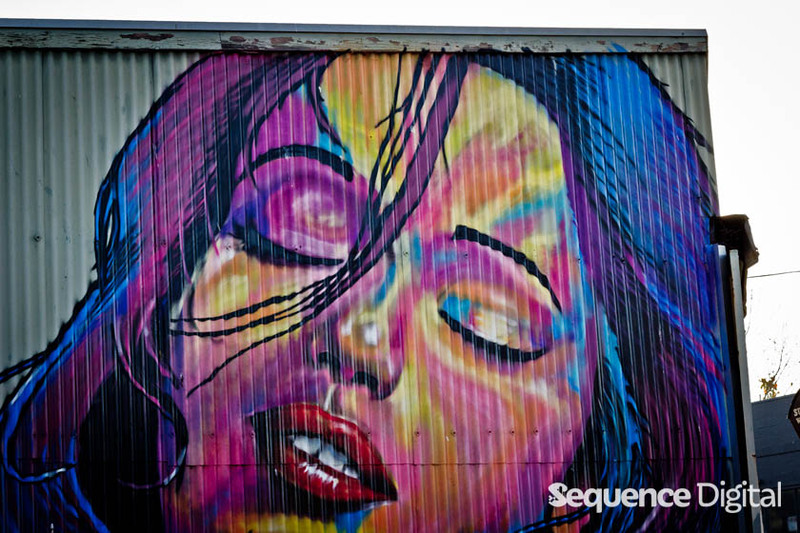 You’ll find them tucked away just off Pako on Yuille St, Geelong West. Look out for free sparkling mineral water, a simple but flavour packed healthy menu, and great coffee from Coffee Supreme. If you like to know the whole story behind the beans that made your coffee then the Coffee Cartel Brew Bar is your spot and that’s why it’s part of the list of best cafes Geelong. Not only is it an extremely visually pleasing place to sip a latte but the knowledge of the staff and the variety of options are off the chart. Open Monday thru Saturday. Shop 1, 80 Little Malop Street, Geelong. 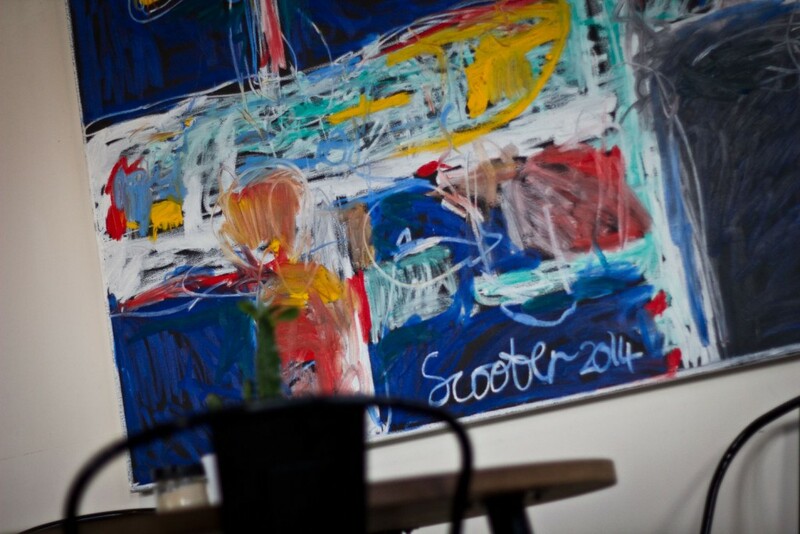 63 Degrees Cafe have created a relaxed atmosphere that’s true to it’s values. Recycled timber is heavily featured throughout, extending all the way out to a couch made from some old paletes. Their food is fresh and seasonal. Coffee is their own blend from Roastcraft. They have many paleo options which suits us just fine. 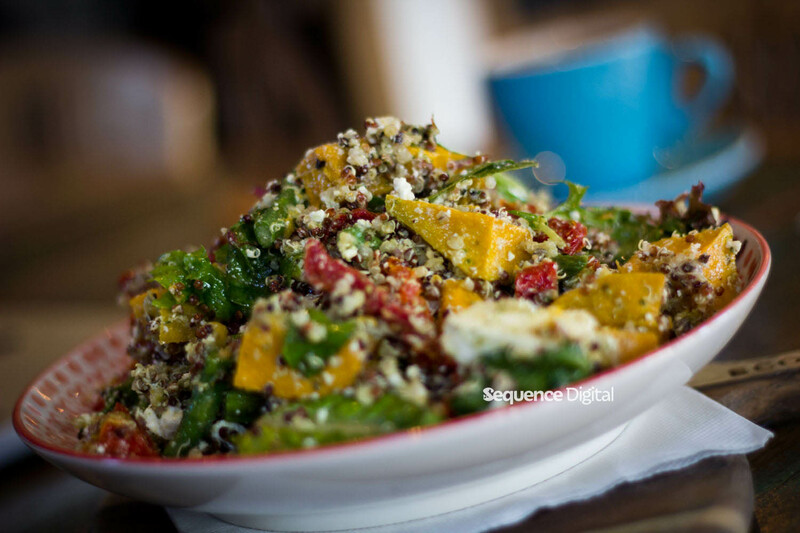 Paleo is still hard to come by in Geelong pushing these guys up the best cafes Geelong list. 140 Pakington Street, Geelong West VIC 3218. 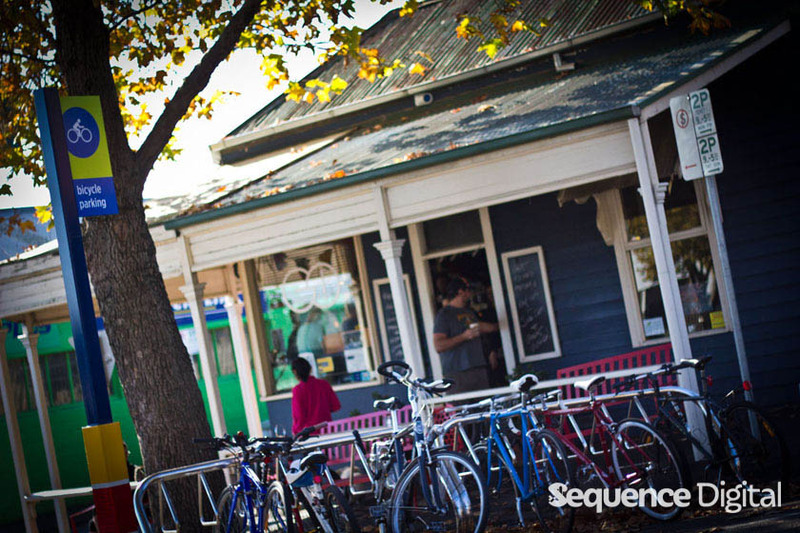 The list of best cafes Geelong wouldn’t be complete without The Cottage. Clearly the best use for an old weatherboard cottage on Pakington Street in Newtown is an award winning cafe. Their strong points have always been it’s food and coffee in a cottage setting but since a recent renovation it’s much better functionally. With a big backyard, plenty of space inside as well as out front, and absolutely killer food and coffee, it’s a winner. 359 Pakington Street, Newtown VIC 3220. The Little Green Corner in Lt. Ryrie Street Geelong stands for three core values: Simplicity, thinking and acting locally, and operating sustainably. They’re popular values that are easy to proclaim but harder to live by, and often the wheels fall off before you make it through the door. That’s definitely not the case here. Read our full review and photo blog: Simple, local, sustainable – Little Green Corner Geelong review. Kilgour Street Grocer and Cafe Geelong was truly a pleasant surprise. It’s recently restored facade is modern and attractive, however it’s muted grey exterior barely hints at the pastel explosion waiting inside. Forget the coffee, the machine itself will make you nearly fall over, in the same way necks almost snap when a freshly restored Monaro cruises past on a Saturday morning. 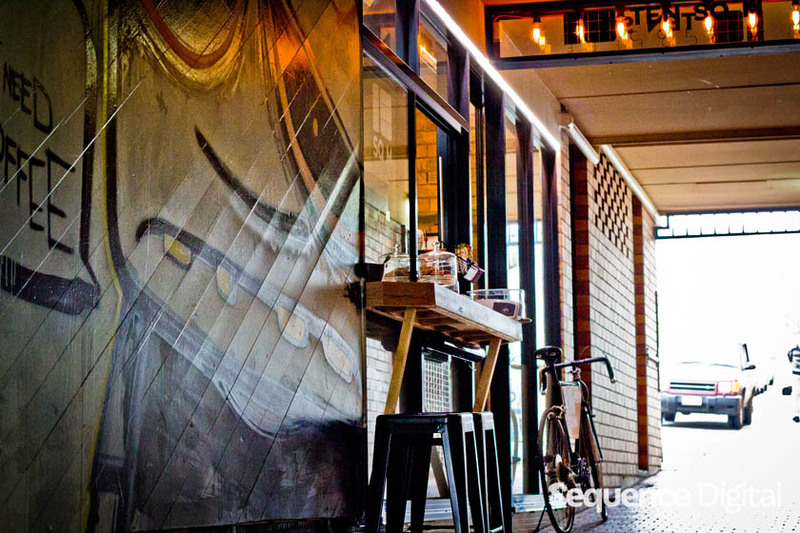 That street machine got it on the list of best cafes Geelong. On the menu are Coffee Cartel Geelong Beans, as well as breakfast, lunch and an extensive amount of treats spread out throughout. Open 7 days. 164 Kilgour St, Geelong VIC 3220. Professional Chef and master of the bean Shane Goodall has been at it for over 10 years at his Belmont cafe. 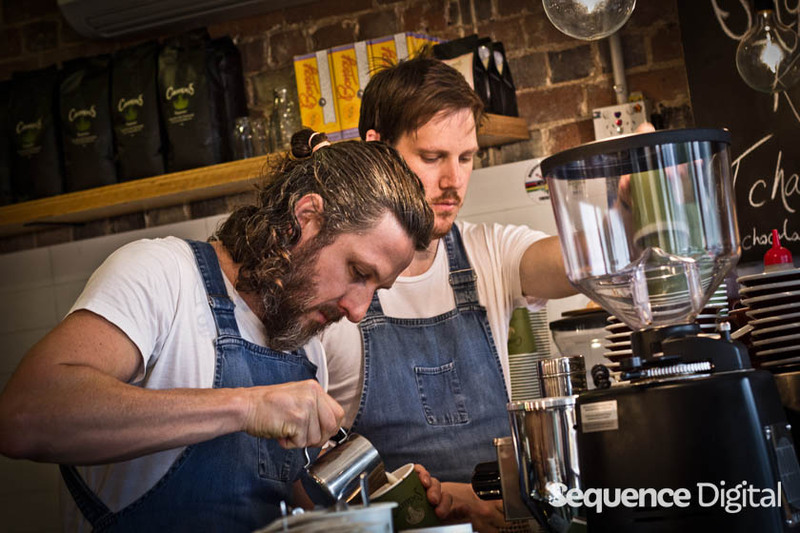 They make it high on the best cafes Geelong list even though they’re a bit out of the way from the centre of town because they know their stuff and have almost every coffee concoction you can think of. The coffee is well supported with an amazing array of paleo and vegan friendly lunch options and treats. We were most impressed to find it’s also Geelong’s Bulletproof Coffee king. We’re yet to find anywhere else serving it and in addition to grass fed butter it’s blended with nutritious homemade nutmilk. Great coffee in industrial areas seems to be a thing in our region. Take Pickers Union Geelong as an example. Located at 3 Mackey Street, it’s set to a backdrop of North Geelong’s usual hi-vis vests, trucks moving stock in and out of Geelong Port and surrounding factories, and the (now beautiful) old Geelong Power Station. Yet from inside you’d barely know it. If you’re a vintage fan, the real gem here isn’t the cafe itself but what it’s attached to. 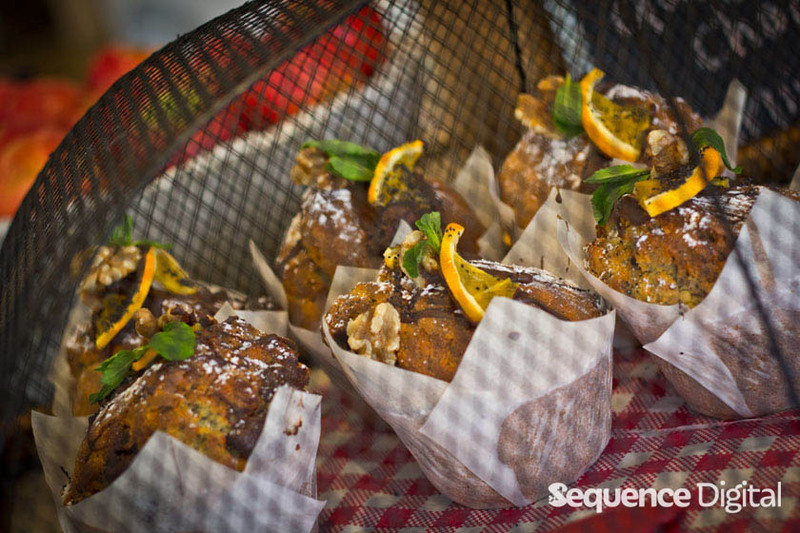 In fact you might want to order takeaway so that you don’t scold yourself throwing back a hot drink as the temptation of the Geelong Vintage Markets takes over. 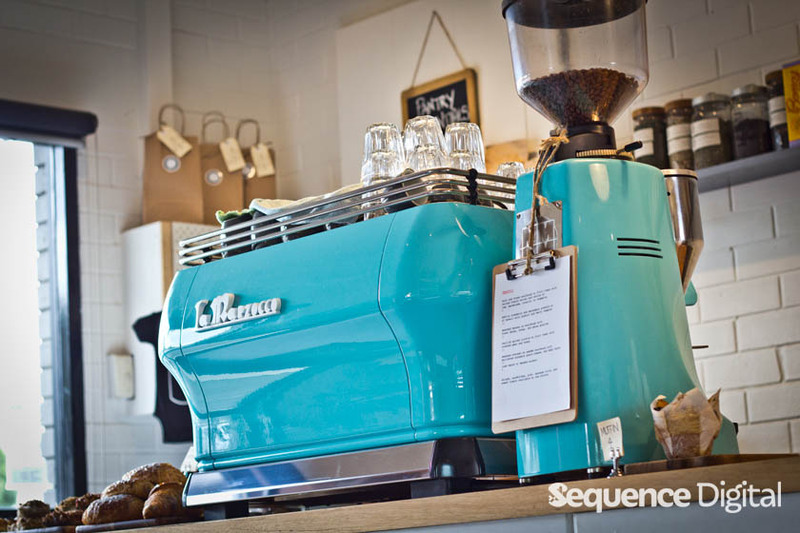 For the ability to be able to retro shop while having delicious coffee they’re on the best cafes Geelong list. Open 7 days. 3 Mackey Street, North Geelong. 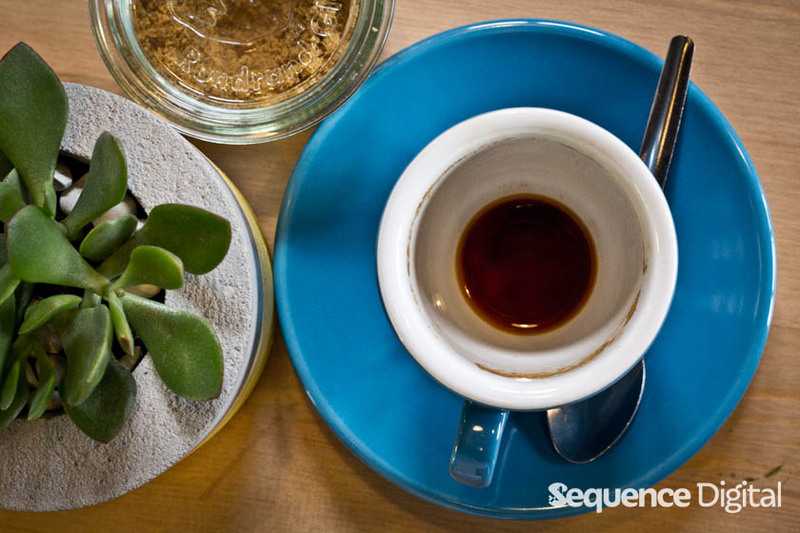 Freckleduck Geelong serves a Melbourne favourite, Five Senses Coffee. The beans are extracted by a stunning Synesso machine atop a deep red timber bench top and served in pastel green crockery. As is often said, location is everything. If this is true then Freckleduck Geelong definitely has everything. Sitting on the corner of Malop Street and Yarra Street in Central Geelong, the passing traffic is unrelenting. Stop in and get away from the rush of Geelong CBD. 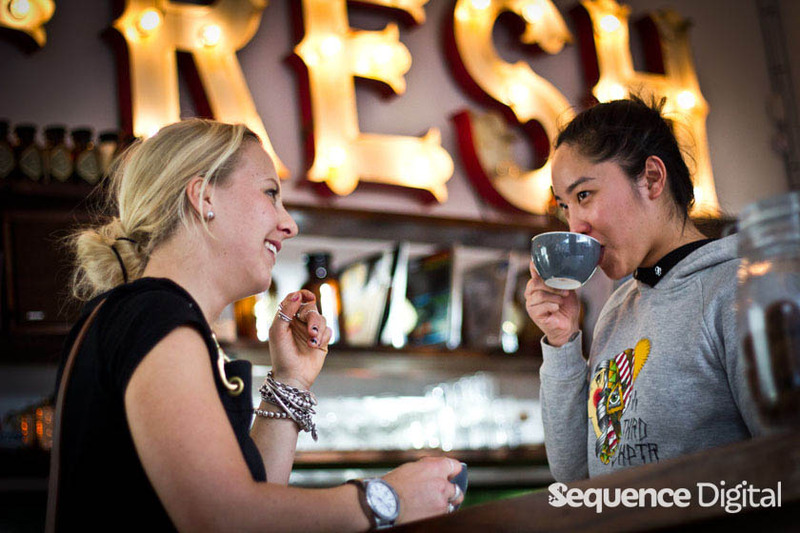 For bringing Five Senses to the CBD, they’re on the best cafes Geelong list. Open 7 days. 131 Malop St, Geelong VIC 3220. Head to the river end of Pakington Street on a weekend and Winter’s Cafe Geelong is arguably the busiest spot on the strip. This could be due to the hard work and dedication to quality that lead the team to clean up at the 2014 Golden Plate awards. Winter’s Cafe Geelong were finalists for best local food and best coffee, and took out the peoples choice award and best licensed cafe. That’s an achievement worth paying attention to and earns them a spot on the best cafes Geelong list. In terms of space, it’s a monster! Out front and inside on the bottom floor are almost always packed, however they have a large open space upstairs as well that usually has at least one spare table waiting for you. This also makes Winter’s Cafe Geelong a very family friendly cafe with room for the pram. 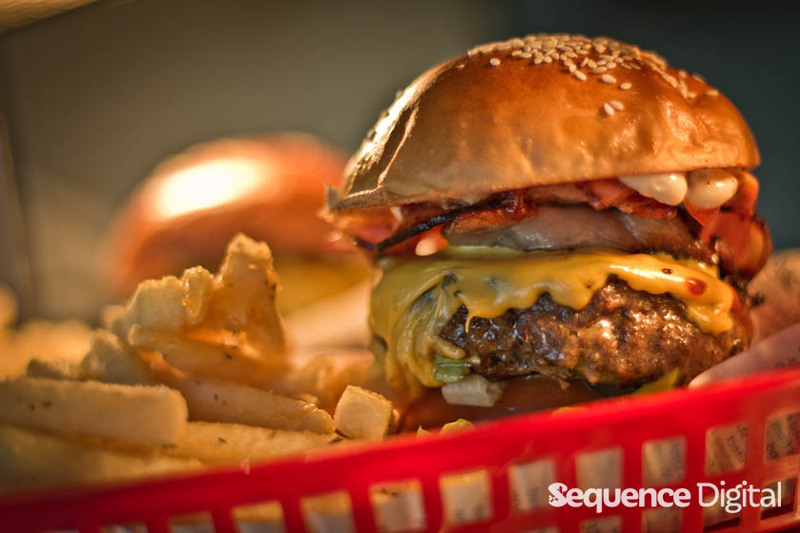 Find them at 330 Pakington Street Newtown. King of the Castle Geelong West is located at 24 Pakington St in an old panel shop that’s been converted into a bright welcoming space while staying true to it’s industrial heritage. The pit where undercarriage repairs and mechanical works were performed has been filled in and replaced with a brand-new kitchen. The panel beating tools and spray-guns were traded in as well. Replaced with a Resident Barber who’ll straighten out your hair and reshape your beard leaving you good as new! Like its sister cafe, Dirty Rascal inside Boom Gallery in Newtown, King of the Castle runs with Padre Coffee beans out of Brunswick and amazing raw treats from a handmade dessert business based in Barwon Heads called Natural Harry. The fresh new kitchen and rapid expansion without losing touch are definite reasons to be included in the best cafes Geelong list. Open 7 days. 24 Pakington St, Geelong West. It may only seem like yesterday but it’s been roughly 15 years since widespread adoption of digital cameras really took off, leaving behind film cameras and all the analogue oddities that came with it. Dan, James and Josh, who are the creators of Analogue Academy Geelong and always up for a laugh and a chat, point out that many of the limitations of film are the very constraints that force you to know more about how to take a good shot. They even have super nintendo on hand! 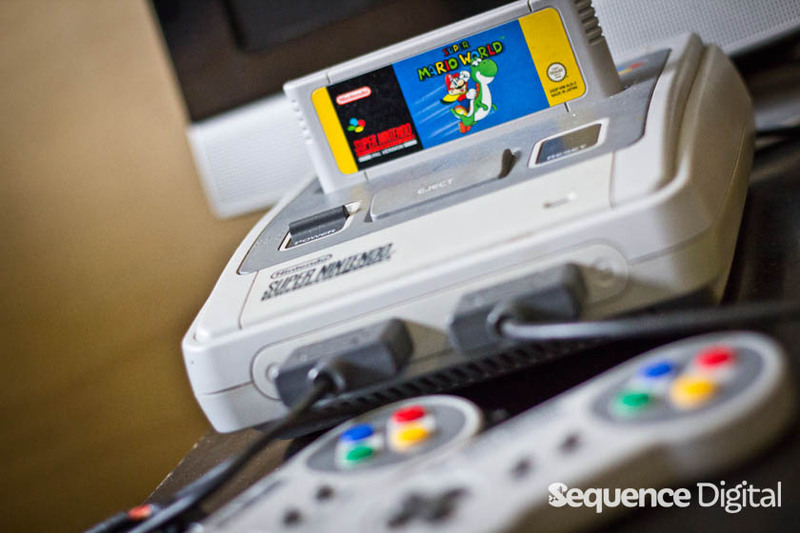 Super Nintendo. That’s it, Analogue Academy is on the digital best cafes Geelong list though we may have to print this off for them. Open weekdays. Rear 68-70 Ryrie St, Geelong. There’s no shortage of delightful oddities at Awkward Cafe Geelong. Yet somehow it feels like home. It’s something genuinely different from a lot of the other cafes in Geelong. It also extends this point of difference to it’s menu. Everything is handmade on site and Tash strives to offer unique options that you won’t find anywhere else. The Nutella Cream Pie and Twix Caramel Tart are just two of the many examples behind the display cabinet. Part of the reason the decor makes it feel like home is because a lot of the items are the everyday objects you would have found at your Grandparent’s place. On this point Natasha says that while some of the items were picked up at markets from around the region, as much as possible was sourced from the family home. 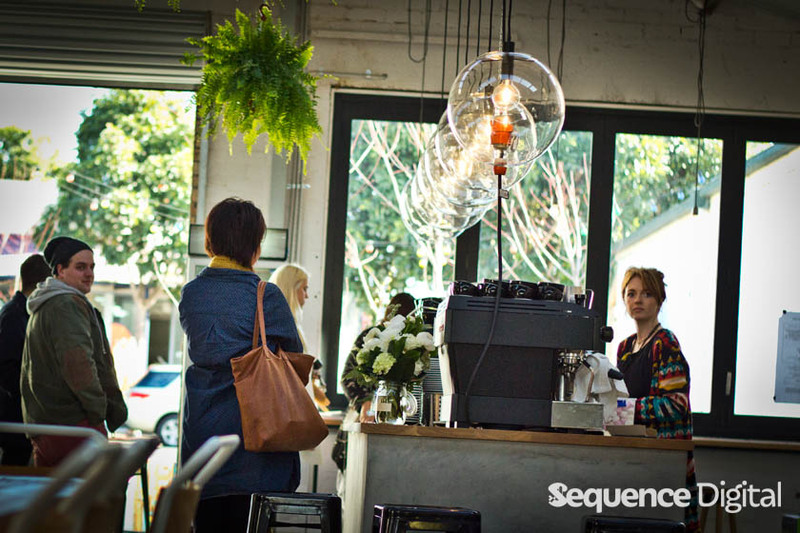 Awkward is on the list of best cafes Geelong for having similar taste in furniture to us! Open Weekdays. 45 Malop St, Geelong VIC 3220. Pakington Street’s rise to become the cultural centre of Geelong has been widely celebrated, however there’s a dark side to that story as well. For years, many of the beautiful corner shops dotted along Pakington Street’s periphery have been overshadowed and left unviable. The heritage listed ‘utchers’ (Butcher) in Skene Street Newtown was one such building that’s languished for years however 7 weeks into it’s new life as Blue Door Espresso Geelong, it would seem that change is in the air. Blue Door Espresso Geelong is attracting a crowd. It’s packed out with people that have ‘travelled’ that extra few hundred metres from Pakington Street as well as many of the older locals that have fond memories of the building in it’s heyday. 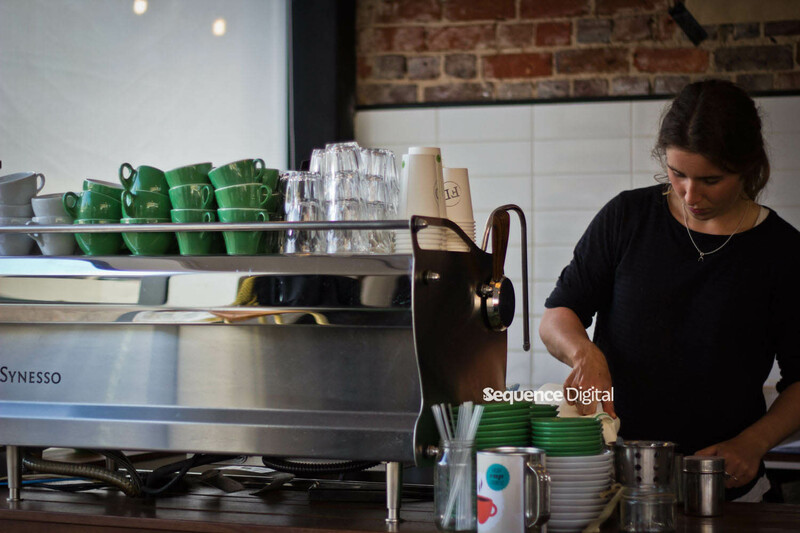 For great coffee and doing something beautiful with an unloved heritage building… they’re on the best cafes Geelong list. Open 7 days. 2A/105 Skene St, Newtown. Jamie, Jerry and John believe in equality. The right of every man, woman and child in Geelong to have access to high quality specialty coffee (OK maybe not the kids) and incredible burgers, no matter where they happen to be shopping. It’s that driving force that inspired them to open Launch Espresso and Kitchen Geelong. Located on the bridge at Westfield Geelong, they’ve realised something that the other cafes might not have cottoned onto just yet. The fact that someone shops at a chain store for homewares and food doesn’t necessarily want chain store style coffee. Their bespoke cafe on the bridge has cracker burgers and Axil coffee to match. For that, they’re on the best cafes Geelong list. Open 7 days. 95 Malop St, Geelong. Ok so if you’re from Geelong you probably don’t consider Torquay as part of Geelong but then if you’re this far down the article you may not be from Geelong and therefore we’re including this in the best cafes Geelong as it’s in the region and only a short drive away. Usually the beans in the grinder have come from a roaster that’s located somewhere else however at The Usual Suspects Torquay they specialise in South American beans and every single one is roasted on-site by Ross in plain view of the dining area! That’s matched by a completely vegetarian menu that’s served in generous portions and made from healthy ingredients that are as sustainable as possible. Open 7 days. 4 Baines Crescent, Torquay. Often we drink coffee to step out of our busy day, taking a moment to escape, reflect and refresh. At these times, a packed cafe with staff rushing around, pumping music and loud crashing plates is the last place you want to be. For a better experience, Mister Miller has what you need. And that intimate experience gets them a spot on the best cafes Geelong list. They too are busy, but not rushed busy. They’re popular busy, still maintaining a peaceful balance in a picturesque setting. This is helped by the secluded paved arcade that’s recessed back from the traffic and features a water fountain and some greenery. Find them at 111 Pakington Street Geelong West. 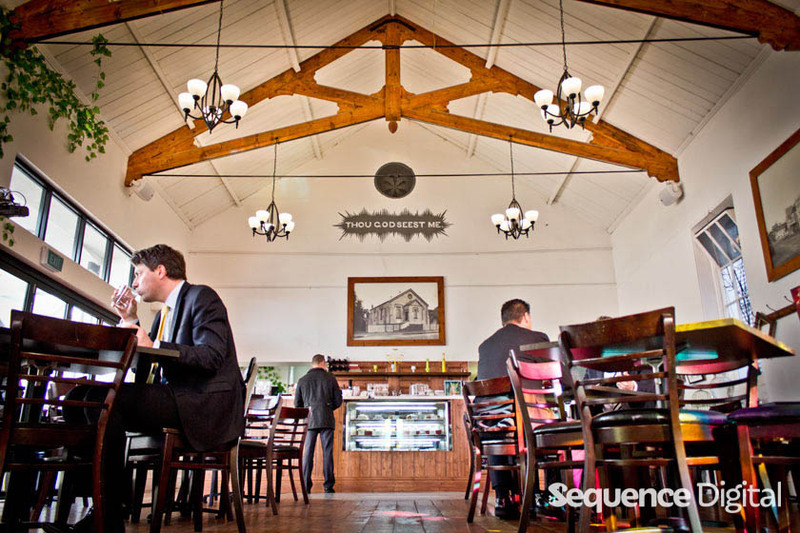 If there’s one cafe that’s seen more action than most, it would be the Courthouse Cafe Geelong. Before it was a pleasurable place to meet with friends and have a coffee it was the place to be if you’d broken the law. As the name suggests, the Courthouse Cafe Geelong is housed in the Geelong’s old courthouse after it was replaced by the current one near the train station. Popular with council folk due to proximity to the town, the Courthouse Cafe Geelong seems like it’s been serving up Byron Bay coffee for “20 to life”. It was sorely missed while it went through a $45 Million redevelopment. Thankfully it reopened in 2012 better than ever. 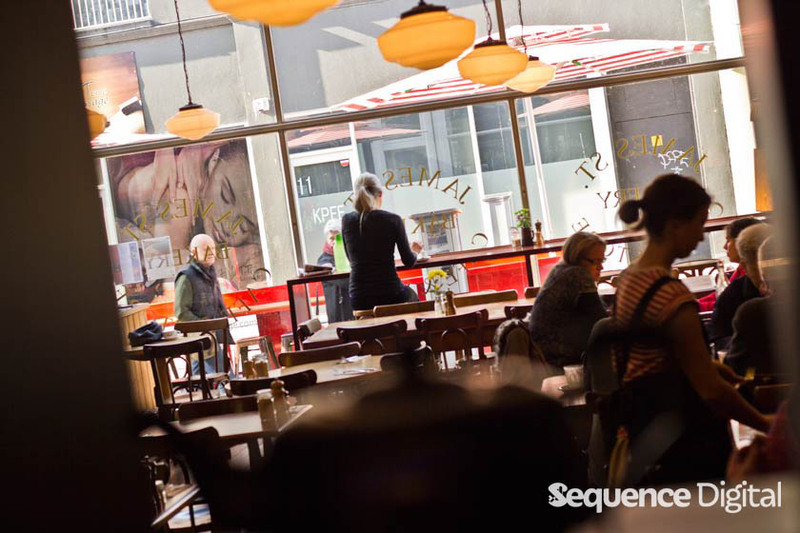 As an old favourite with a great menu and atmosphere it’s on the list of best cafes Geelong. Open weekdays. 60 Little Malop St, Geelong. Look up as you walk into Bear and Bean Cafe Geelong for one of the most interesting ceilings in Geelong. 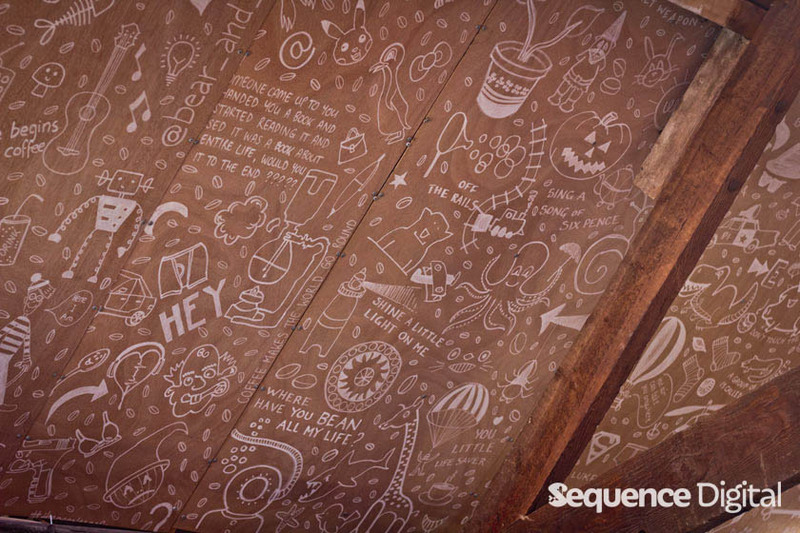 Hundreds, maybe even thousands of little pictures have all been carefully thought up and hand painted by family on plywood sheets that line the previously bare tin roof. 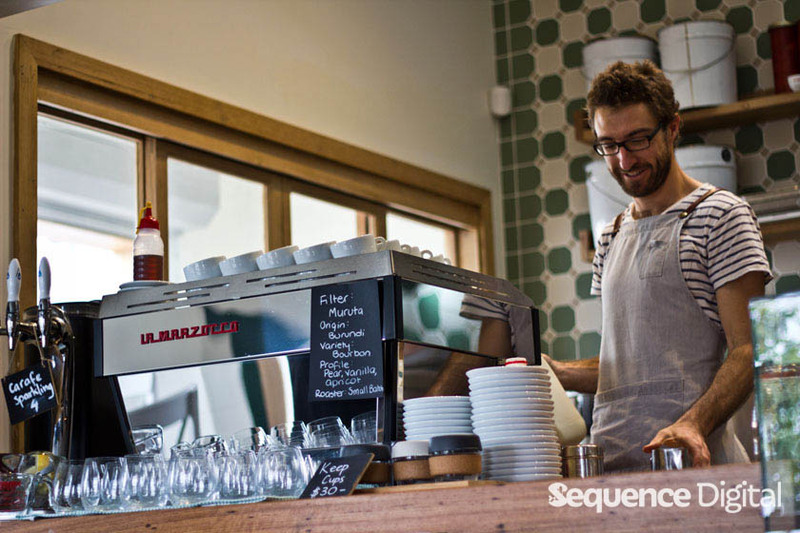 This love and care earns them a place in the list of best cafes Geelong. You’ll find Ducale Coffee (DC) from Preston on the LaMarzocco machine and a wide array of healthy options on the lunch menu. Their food really is worth mentioning. All that experience in professional catering is really paying off and there are many options for all dietary preferences from the paleo warrior to the gluten intolerant. Find them in the Little Malop St Car Park, Geelong. Box Office Geelong is reminiscent of that surprise laneway street food find that you weren’t expecting to come across as you traversed off the beaten track travelling Asia or South America. There’s plenty of room to shoot the breeze with ample seating out front as well as out the back. Adorning the walls is some sweet street art and the seasonal menu is as local as possible with eggs coming from Torquay, bread from Born & Bred Newtown and raw desserts from The Kindness Co. also located in Torquay. A definite for the list of best cafes Geelong. Open 7 Days. 77 Preston St, Geelong West. This is simply a stunning place to have coffee and even without tasting the coffee it would almost be part of the best cafes Geelong list, but, the Two Seasons coffee is great as well. The glorious structure originally opened on 1st November 1857 as a Baptist Church, and is an interesting and important part of Geelong’s heritage. It was unused for 10 years and at that point a proposal to convert the site into a cafe was accepted. The side of the building was opened up to allow for the large doors and balcony. This also brightened up the chapel with stunning natural light from the east. Open weekdays. 10 Little Ryrie Street, Geelong. Even if you’ve never stepped foot inside Born and Bread Bakehouse Geelong, it’s likely you’ve heard of them, or had a gourmet sandwich made with their specialty loaves of bread. That’s because in the short time that they’ve been open they’ve managed to get their bread on the shelves of a significant number of cafes through Geelong and surrounding areas. This might be helped by Born and Bread Bakehouse Geelong’s commitment to quality, and the fact that they really know what they’re doing. Ben Gower is from a long line of Bakers. 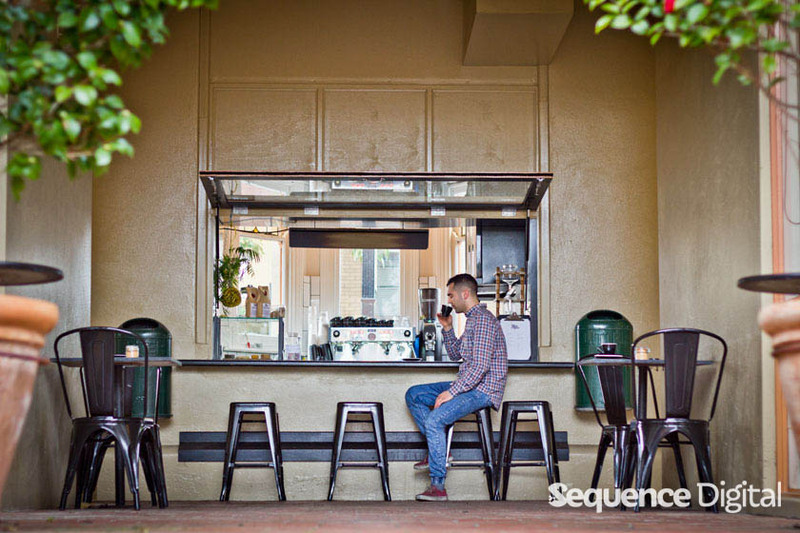 He’s the third generation running which earns him a place on the best cafes Geelong list. 2/364 Pakington St, Newtown. Personality lands Down the alley on the list of best cafes Geelong. 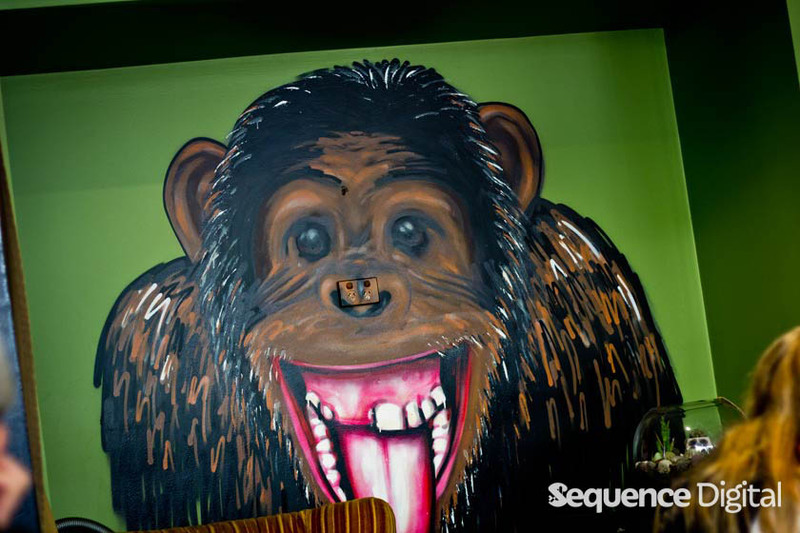 The giant graffiti monkey and penguin set the tone as you sit down with the choice of regular cafe chairs or the comfy orange couches. There are other touches like vertical wall gardens and a small collection of books in case you need something to read. Their own ‘Down the Alley’ fair trade blend of coffee makes a for a chocolatey 5-star long black and the cakes are absolutely scrumptious. It’s a great location to stop while out on the Geelong foreshore. Open 7 days. 6-8 Eastern Beach Rd Geelong. 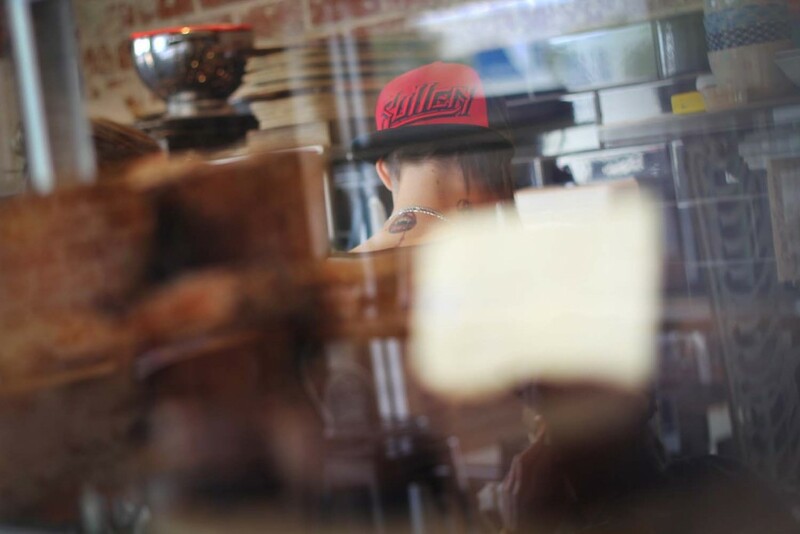 Read our full review and photo blog: Three grinders! 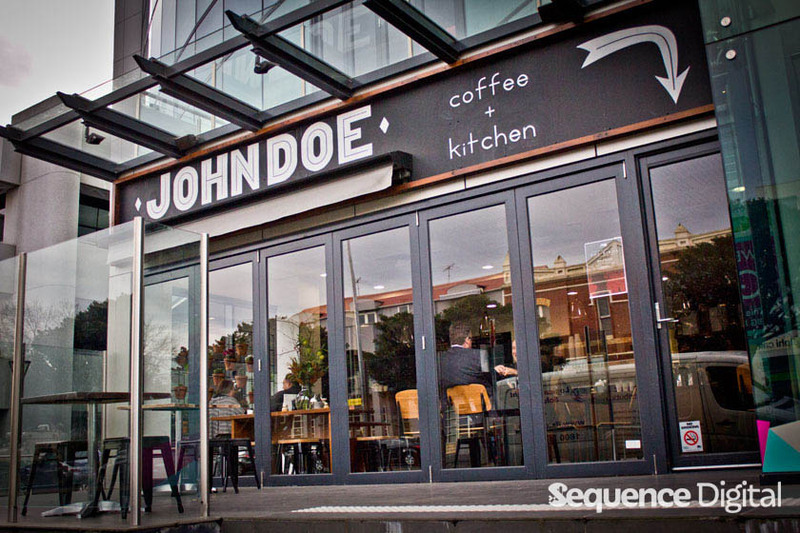 John Doe Specialty Coffee Geelong review. 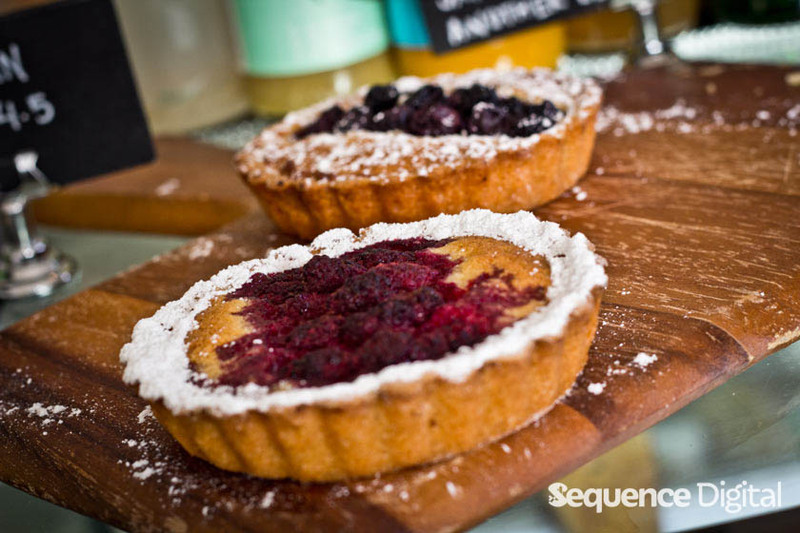 James Street Bakery Geelong is a french infused bakery-cafe right in the heart of Geelong. Ben works the coffee machine, alongside his mum Helen who is a part owner with Aunty Trish. It’s one of the original spots for coffee in James Street’s recent revival, opening in 2010. The inspiration comes from Uncle Laurent, a French pastry chef that’s responsible for the amazing array of cakes and treats on display as well as the regular menu. The theme extends to their decor which has an old world feel to it with directed mood lighting from French style lamps against dark stained timber. We included James Street Bakery in the list of best cafes Geelong because of it’s old world charm and essentially home made cakes. Open Monday thru Sunday. 10 James St, Geelong. 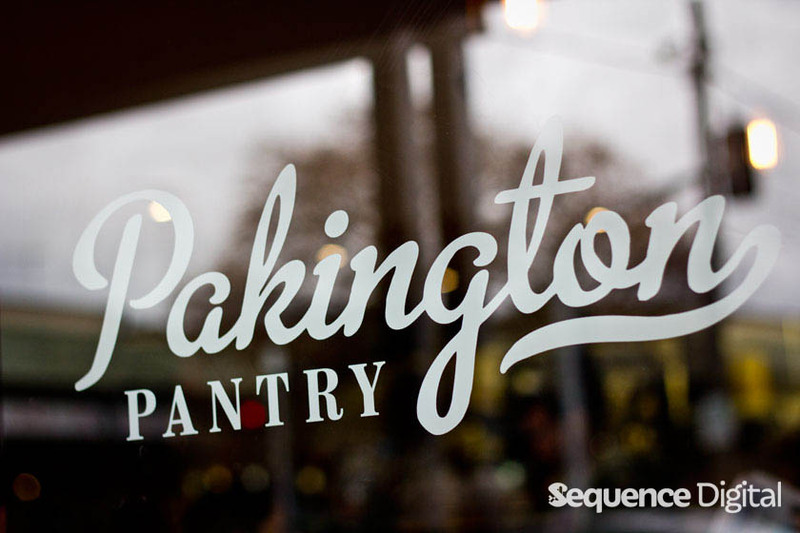 Pakington Pantry Geelong is one of the newest additions to the Newtown end / river end / Paris end of Pakington street. It’s been running about 18 months and has been an instant hit. It’s a dimly lit, sleek laneway style cafe that appears from the front to be a small hole in the wall with a window that you can order through from the street, but actually as you look in you realise that it packs in quite a few. It’s a long thin building with access from both sides and has as much space as any of the other cafes in the strip. 3/328 Pakington St, Newtown. Dirty Rascal Cafe Geelong make the list of best cafes Geelong because it’s in an art gallery which provides an interesting addition to a trip for coffee. It’s tucked away in the corner of Boom Gallery which is part of the Rutland Street precinct in Newtown. Don’t know about Rutland Street yet? It’s down near the river-end of Pako where a pocket of long abandoned warehouses have quickly evolved into a breeding ground for Geelong’s most creative; a vibrant community of artists and micro-businesses. Surrounded by visually striking works of art, this spot isn’t short of fascinating objects to attract the eye. From colourful wall art, to handmade locally crafted jewellery, vases, candles and tea cups there’s bound to be something that takes your fancy. As rhythmic beats play, a focused, somewhat steely barista brews a perfect long black from the sweet Padre Coffee. 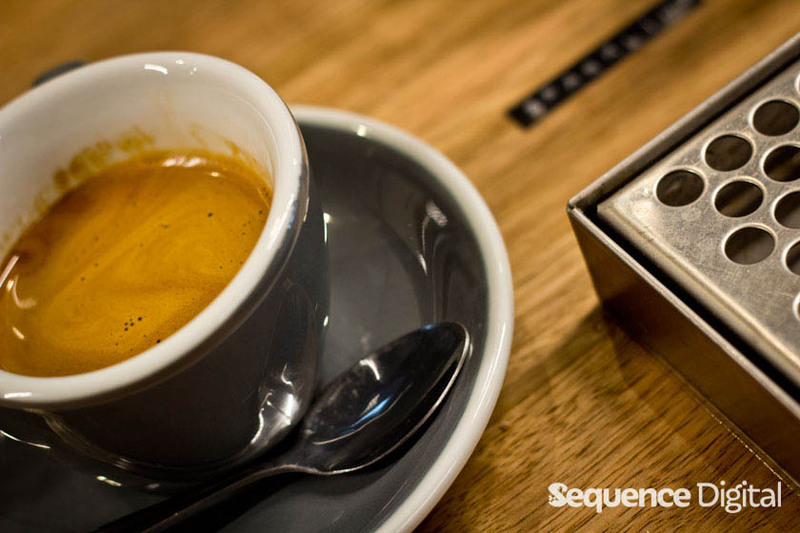 Padre are known for their small carefully roasted batches, all lovingly created in the Melbourne suburb of Brunswick. 11 Rutland Street Newtown. We’ve had reports that this cafe has closed however we haven’t confirmed it ourselves. Update coming soon. Arcades in Melbourne have a reputation for being vibrant places where the discovery of something amazing is highly likely. Geelong hasn’t quite built the same reputation yet, however that may be about to change. 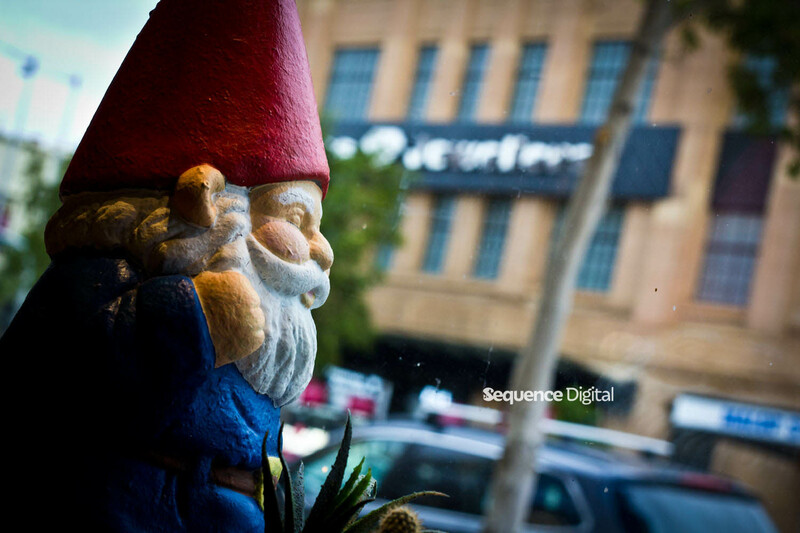 Make the journey from Ryrie to Little Ryrie Street via the arcade across from James Street and you’ll find 10 sq M Geelong. It’s a hole in the wall cafe that’s turned a daunting walk through a dark alley into a relaxed stroll with pleasant aromas. Coffee is Sensory Lab and they only use biodynamic milk. They had already earned a spot on the best cafes Geelong list but their threat to kill us all sealed the deal! 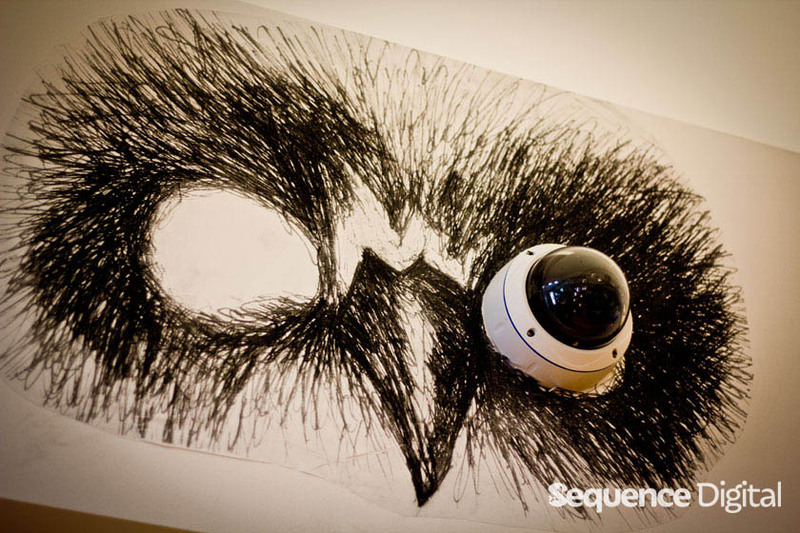 (See the featured image in the full review if you don’t know what we’re talking about). Open weekdays. Unit 2 124 Ryrie Street, Geelong VIC 3220. Read our full review and photo blog: 10 sq M Geelong brings the Melbourne arcade vibe to our great city! 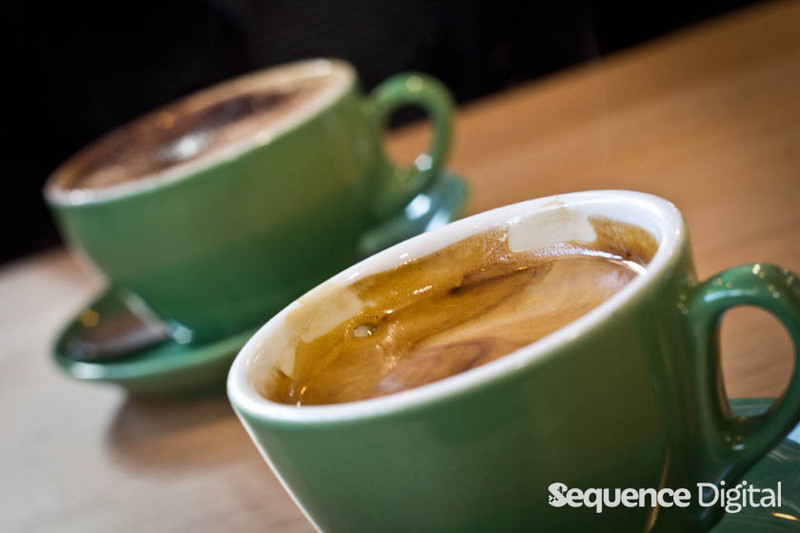 We hope you enjoyed the list of best cafes in Geelong. If you have any suggestions for places we’ve missed we’d love to review them. As we mentioned at the start of the article this is by no means an absolute list and we want to continue to try every great cafe that this city offers us so we can create an even more detailed list of best cafes Geelong!